Automatic Area Calculations by BOMA Standards ! THIS IS HUGE NEWS !! 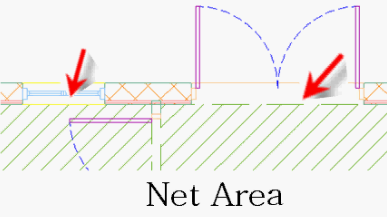 In this great video demonstration displayed above I show how the new .NET plug in for Area Calculation Standards works. In particular using what is known as the BOMA Standard of calculating areas. This automated standard uses the space 'classification' and actually compares the adjacent space classification(s) to determine where to place the boundary lines. It's truly amazing and EXTREMELY useful to those who need to do this. You can now place Space objects and then tabulate the Gross, Net and Usable areas based on a specific Area Standard such as BOMA, DIN or SIS ! I sure could have used this automated process years ago when my entire job entailed surveying building spaces (measuring tape, clipboard, flashlight...you know the drill) and then manually calculating the Gross, Net and Usable areas. Seeing as quite often these documents and calculations become part of a legal agreement between building owners and tenants it is crutial that the areas are accuate and consistsnt between projects. 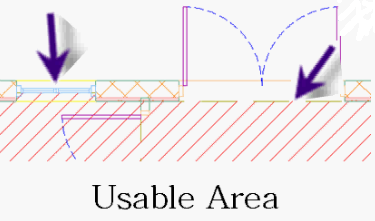 Based on this new AutoCAD Architecture ability I think I will start to look for new work on measuring spaces again ! Seriously, anything that assists with our FM space reporting, etc is only a good thing. 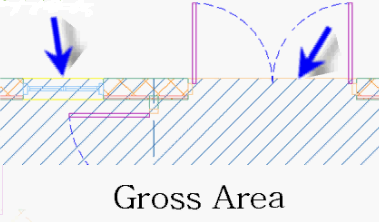 In the case of an interior lease space of a strip center how can you set the gross boundry to go to the center of the demising walls? We don't draw the spacees on each side and I prefer not to grip edit the boundry, would like it to be automatic. What's really cool about this feature (using the BOMA standard) is that the spaces also take into account the glazing as well. If a window accounts for more than 50% of the hosting wall, the boundary will update as well. Resize a window and watch the appropriate boundaries update. Not sure why, but on 2 computers I've tried to select the BOMA method in properties - the first or second step after selecting BOMA as the default measurement standard in Options - and I find that I do not have BOMA as an option, only *NONE*. I go back to make sure that my selection of BOMA standard is in the AEC Object Standards window (it has)and try again with no success. What step(s) am I missing? Hope it's not too confusing, it makes sense if you follow along with the video. I'm coming in late to this party, but since I am, do you know if there are standard spaces available using the BOMA standards for Industrial Buildings? We just received the book, but it would be nice if we could build it into our spaces. The current spaces use the standards for Office Buildings. I hope its determining window dominance based on VERTICAL height of the window wrt the wall (finished floor to finished ceiling), and NOT wall length. I just ran across this video yesterday. WOW! This will make things so much easier for calculating BOMA reports. I was wondering if you had a drawing that you couls share that showed how you set up your display reps to view the different areas? I am trying to save myself some time learning this. Applying "BOMA Standards" is like saying you want to buy a car, and not specifying type, brand, price, etc. There are BOMA Standards for Office buildings (2010 being the newest version, with a Legacy Methodology and a Single Load Factor Methodology), Industrial buildings (which actually applies to any building more than 50% non-office), Gross Area Standard, and soon to come will be a Retail Standard, a Mixed Use Standard, and Residential Standard. All have different definitions and rules for plining, it will be a long time before there is software out there to correctly implement all Standards. Any current software most likely works only in accordance with BOMA 1996 Office Standards, now obsolete. I hear you. And it's Autodesk's party by the way. I'm just the under paid help.